The marquee outside the Warnors Theatre says it all. 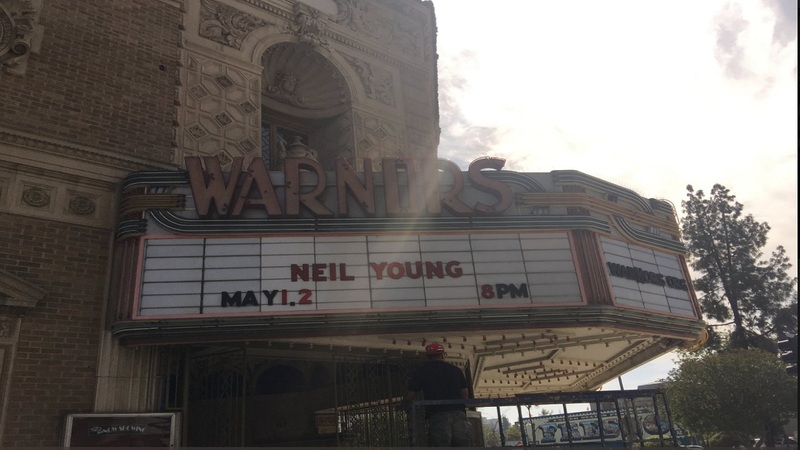 "Neil Young, May 1st, 2nd, and 3rd, 8pm." The show was just announced and pre-sale tickets were just made available. Click here to buy tickets. You'll need to enter the password "nyarchives".